Okay, so I can honestly say this has BY FAR been the most effective journaling/to do/brain organization method I've ever used. It's hard for me to keep anything up for longer than two weeks, so the fact that I was able to maintain this for over a YEAR really means something. Bullet Journaling (officially) is a concept developed by a guy named Ryder Carroll as a way to catalog his thoughts and keep on top of his tasks. It's a system of symbols and lists that makes it easy to see what you need to do at a glance. 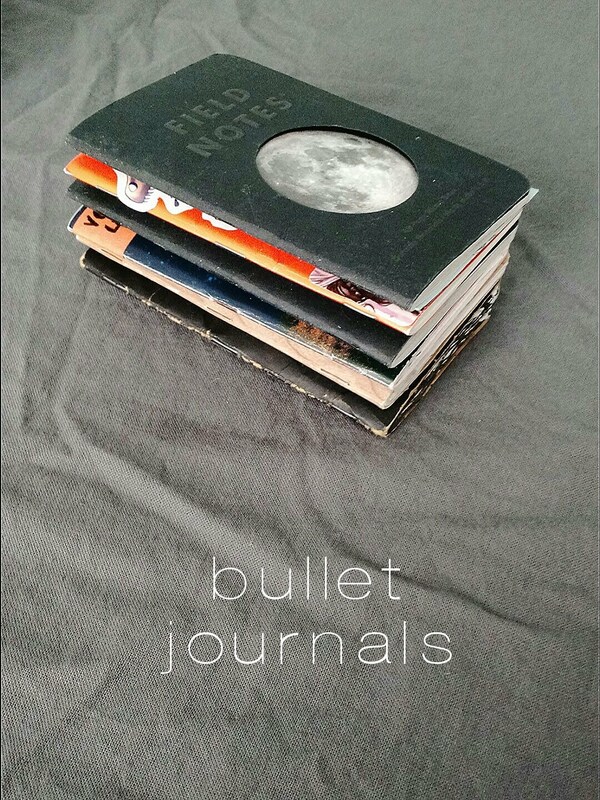 If you want the best explanation you can possibly get about bullet journals, check out the website bulletjournal.com. Bullet journals basically need two things to make them function... an index and a key. Honestly I only use the index regularly. It's not even a revolutionary idea, but it has kinda changed my life. Or at least my list making habits. At the start of the notebook, you keep a couple of pages blank for your index. Then, as you add lists, you write the page number and the topic in your index. After your index pages, you just dive into putting pretty much whatever you want into your journal. 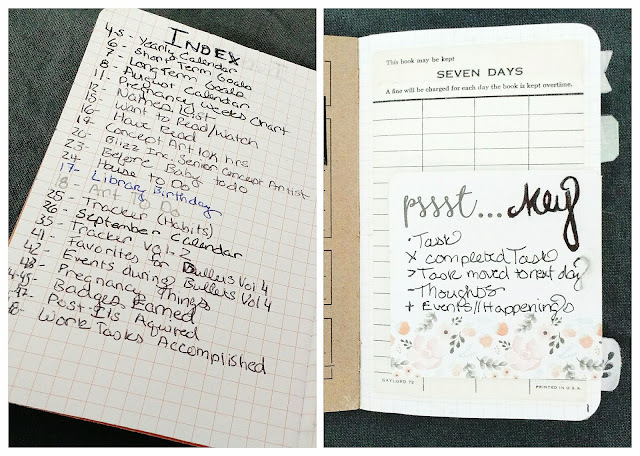 I usually have a few standard things that I include in every journal: a list of short-term goals and long-term goals, a monthly calendar to keep track of appointments, a habit tracker, and, most importantly, my daily log. The daily log is where the key comes in. 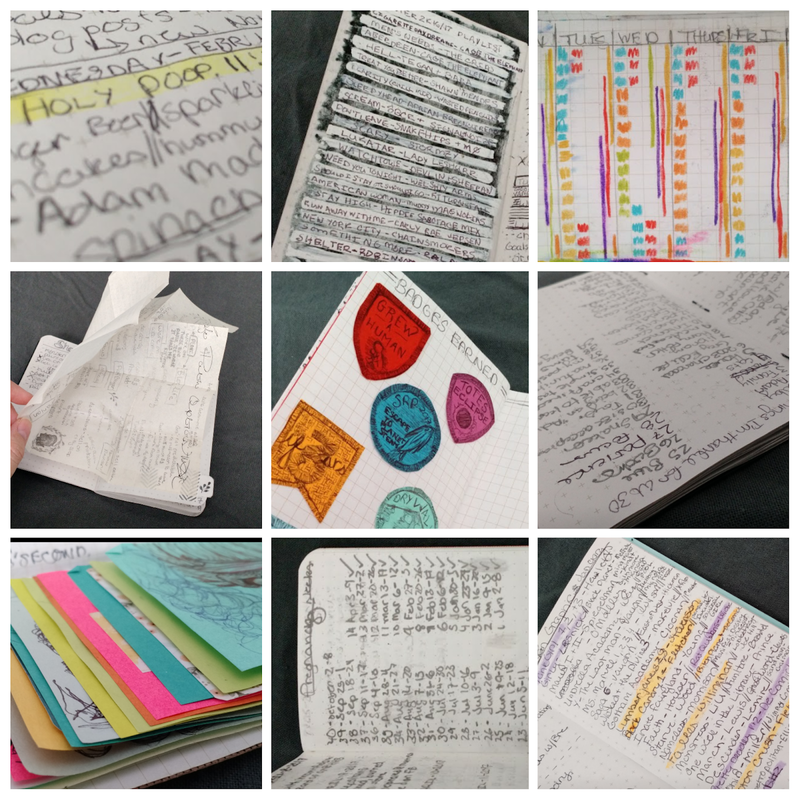 It's a hybrid of a to-do list, a day planner, and a journal, where you list off random thoughts and use bullet points to organize what kind of thought it is. So, I use just a dot for a task, and mark it off with an x when I complete it. Then any thought or event I want to remember I just use a dash for. Sometimes I make my key a little more complicated, but I always end up coming back to dashes because I can't remember the rest of the symbols, haha. I was worried about how my bullet journal and daily log would work once I became a parent, but man is it handy to have around! I am able to write down all the little adorable (and not so adorable) things that happen so I can come back to them when I fill out calendars, baby books, etc. In fact, if you look in the collage below, the "holy poop!!" entry was the day I found out I was pregnant. :D I used it to religiously to track our feeding schedule when we were still getting the hang of that. Right now I have a page dedicated to what new foods we are trying and when, and I have another one that's our babsitting/day care schedule. I'd be lost without it, I swear. There are a lot of other pages that I don't put in every volume but I loved having. Playlists are always great because I feel like music can take you back to a certain feeling so easily. Book lists are obviously something I support. One month I did a graphic novel list that I still go back to when I'm looking for suggestions. I folded up pages and taped them into the book to expand on ideas more than once, and last year I did my "inktober" drawings on sticky notes that I taped to the back page of my journal. I think random little pages like that are what take my journal from being just a planner to something more unique and game-changing. 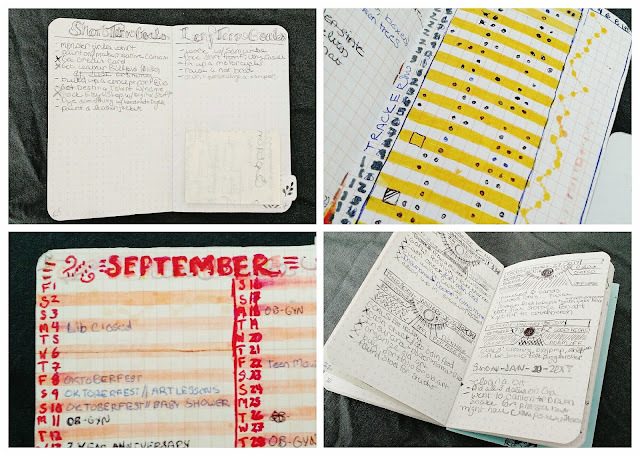 Do I like bullet journaling? You could say that. Or you could say I love it, and it's become so routine to me it's like breathing, and without it I might die... but if you said that I'd call you dramatic, so let's just go with "I really like it." It's great for my forgetful self because I can look back on what I did last week. 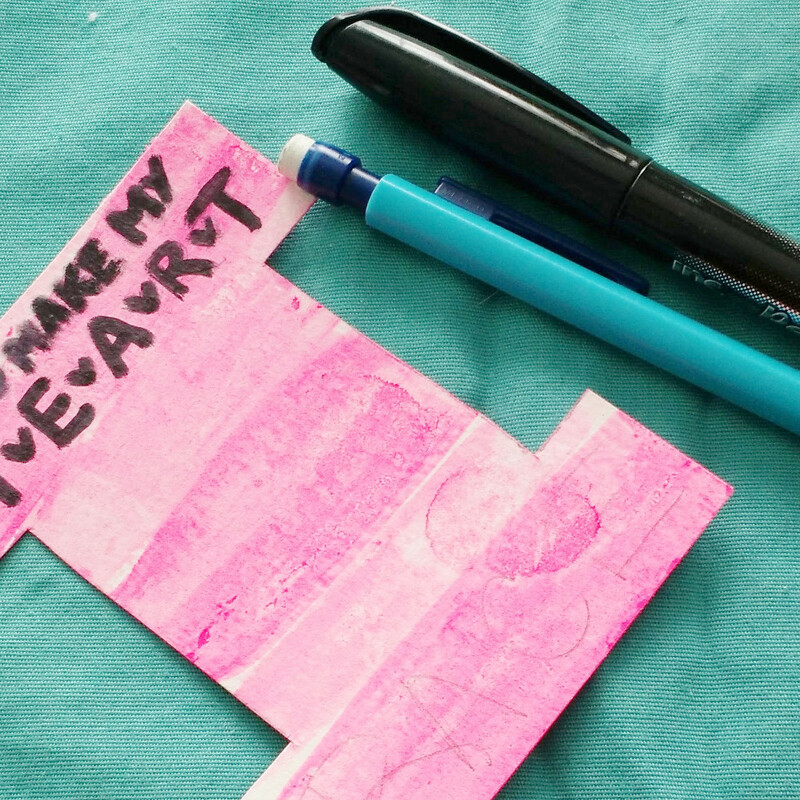 It's great for my unorganized self because it's an ongoing to do list that I keep in my pocket. It's great for my creative self because I'm constantly playing with fonts and layouts. And it's great for my office supply addiction because I now have a place to put all of the cute post its I buy. But maybe it's also not so great for my office supply addiction because now I have a reason to buy more. So that's it's one drawback... it makes you want to buy more sticky notes. If you can call that a drawback. 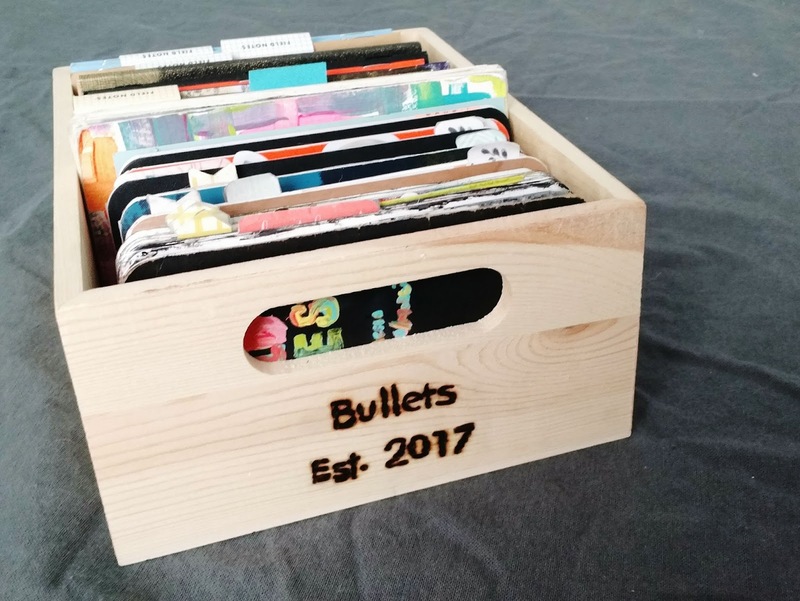 So if you want to create a bullet journal, and you're willing to risk feeding your office supply addiction, I say go for it. All you really need is a notebook and something to write with. bulletjournal.com - This is the end all be all guide to bullet journaling. Field Notes - This is where I get all my notebooks. Obviously, you can use whatever kind of book you want... actually, this would probably be easier with a bigger notebook. 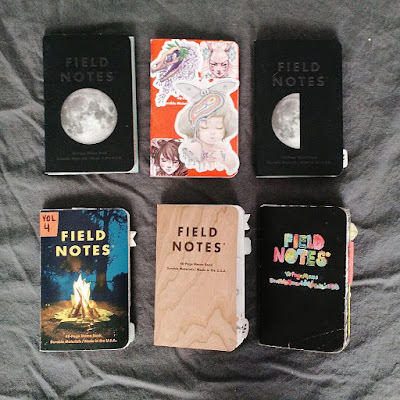 I just am obsessed with the Field Notes brand and all of their amazing designs. Also, their books are durable, fit in your pocket, and come with grid paper. See why they're my favorite? Bullseye's Playground at Target - The place that affordably feeds my office supply addiction. Pinterest Board - Just a collection of cute ideas. There are so many creative people out there! 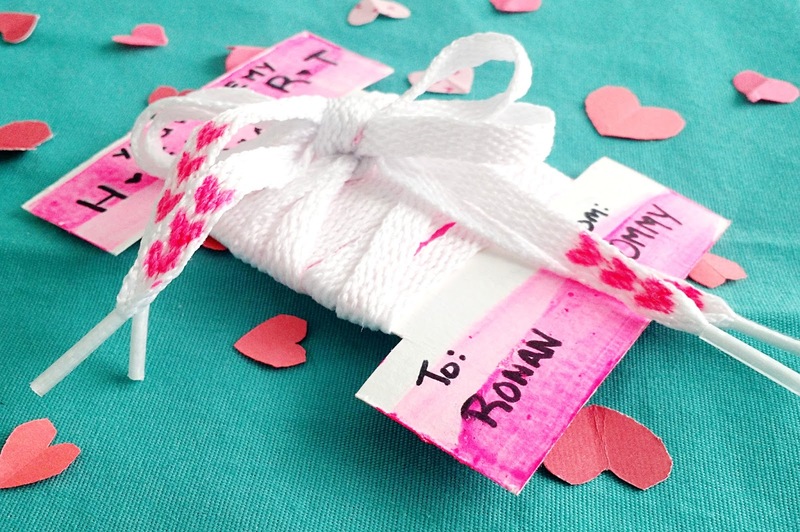 These Valentines are a cute, practical, affordable DIY that your kids can help you make! They were actually born with the idea of using the Proclaimers song "I'm gonna be" (oh, I would walk 500 miles... yeah, good luck getting that out of your head now.) 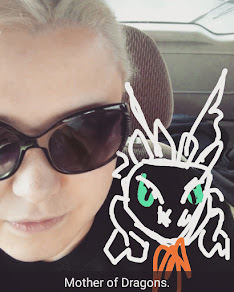 and evolved from there. Step one: Cut your cardstock. 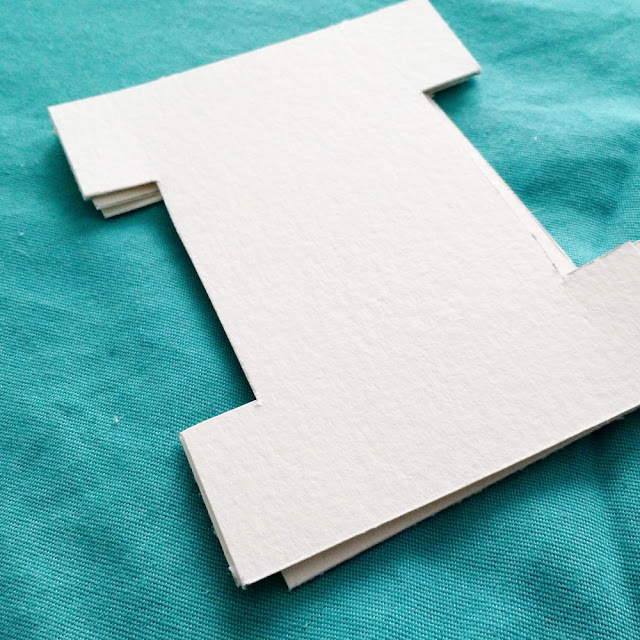 Really, this can be whatever size works best for your paper, as long as it turns out to be an "I" shape. I cut mine to 3x4" with the divets a half inch in, and an inch from the bottom and the top. 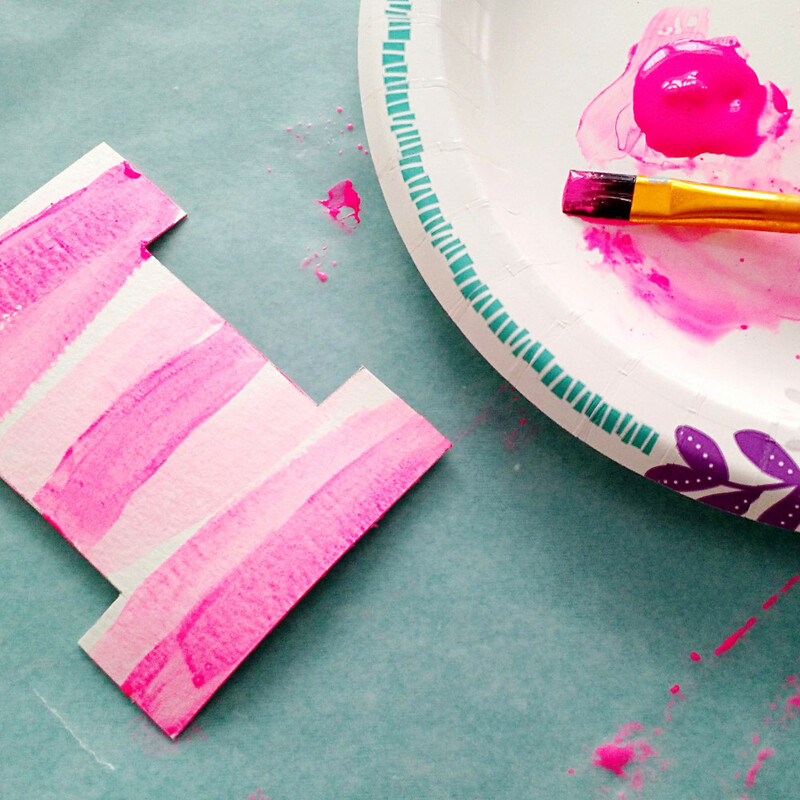 Step two: Paint your cards. 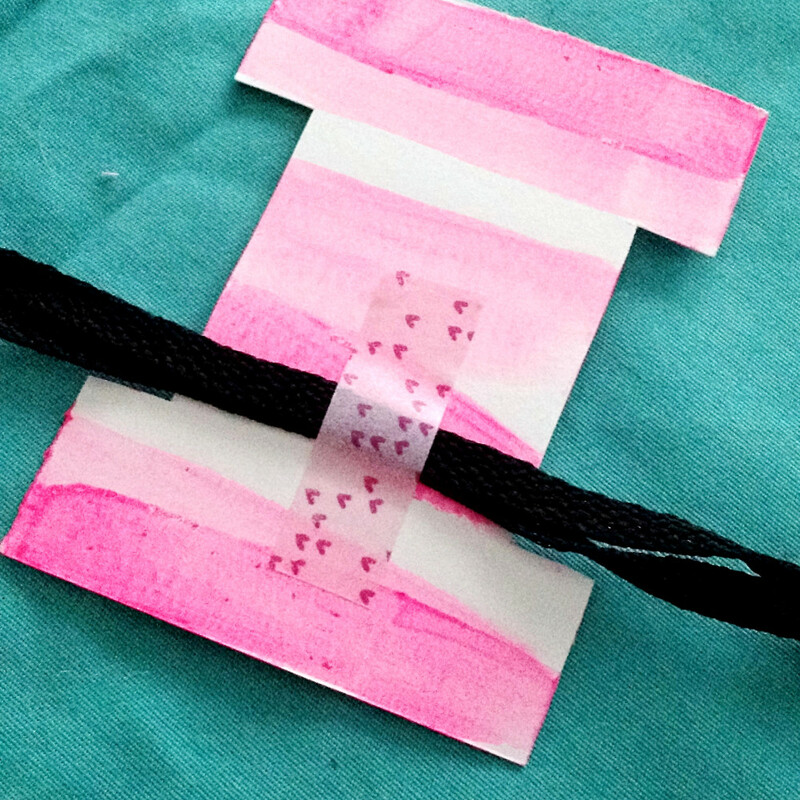 I painted simple layers of strips, using acrylics that I watered down to get the different colors. While one side dries you might want to move on to the next step, then come back and do the other side. Step three: Paint hearts on your shoelaces. Hearts can be VERY simple when they are this small. I just painted one line at an angle (there is half of a heart on the lace above) then painted a line angling the opposite way on the other side. As long as the bottoms touch and the tops don't, it will look like a heart. 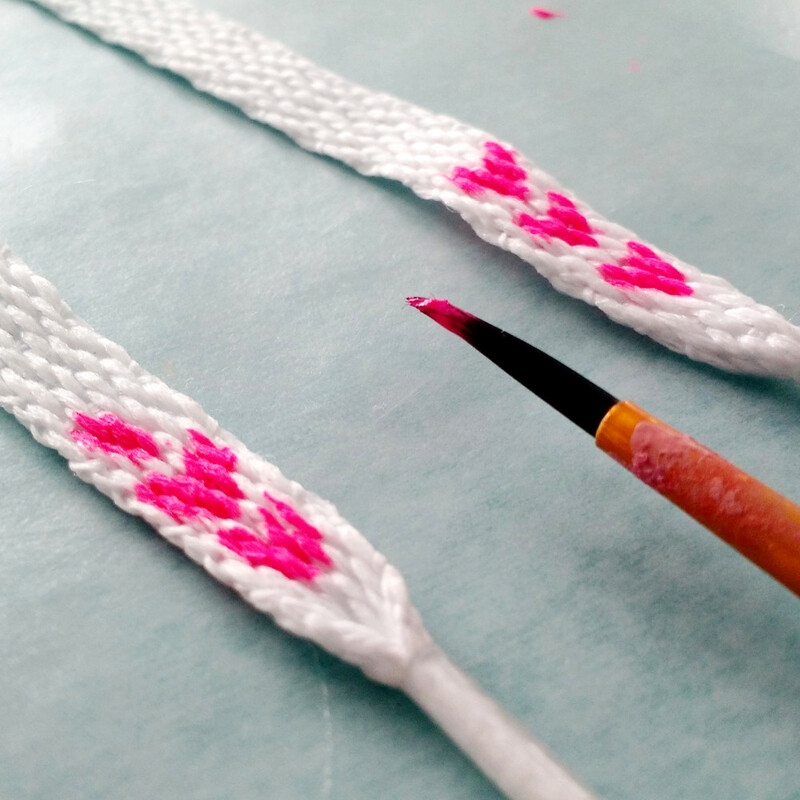 If you're going to paint black laces as well, you'll probably have to put down a white base then paint your pink (or whatever color you pick) on top. Step four: Write your messages. If freehanding makes you nervous, trying writing it out in pencil then tracing it with markers. You make my heart race! 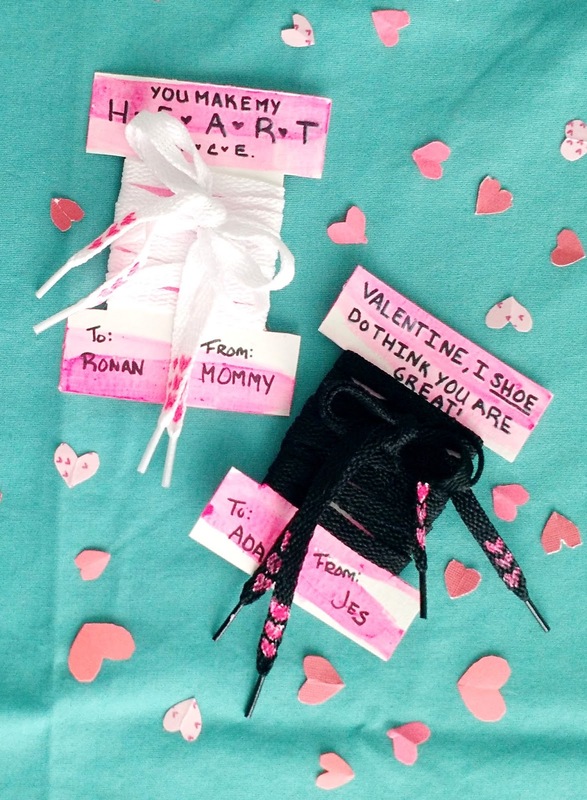 Valentine, I shoe do think you are great. You are my sole mate. I'm head over heels for you. 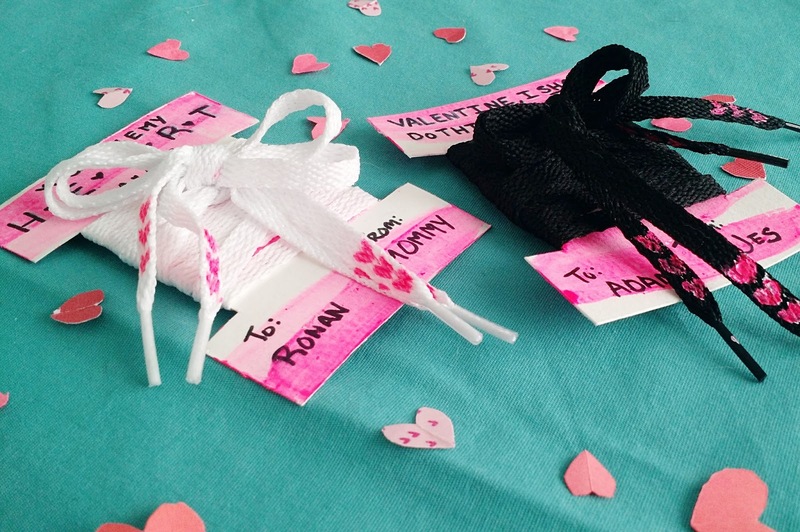 Step five: Tape the middle of the laces down on the back of the card, then each section around separately, being sure to leave enough to tie a bow on top! And that's it, you're done! Now those shoe are cute!